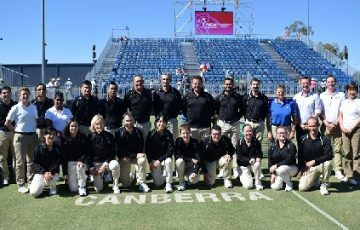 A number of ACT players have secured both singles and doubles titles the past month, with tournaments over the June long weekend proving a happy hunting ground for Canberra athletes. 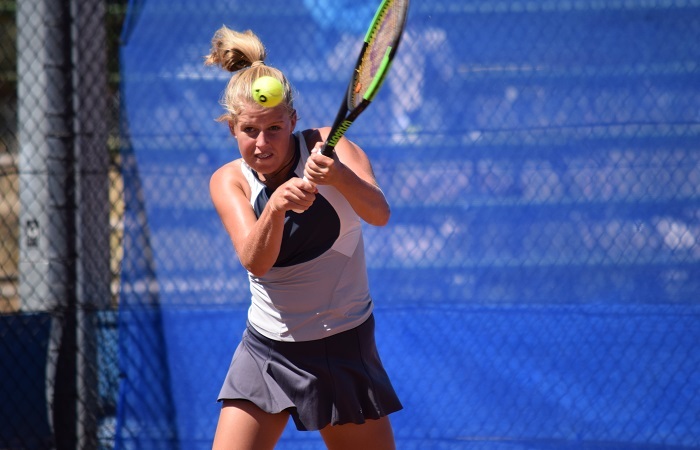 At the MIA Open in Griffith, Canberra players dominated the women’s singles, with Ashleigh Simes, Matina Ujdur and Alyssa Simoncini making the semifinals. Simes defeated Ujdur in a tight three set battle, and then went on to win the title. Ujdur then combined with Courtney Cook (NSW) to defeat Simes and Simoncini in the doubles final. In the men’s event, Jamieson Nathan defeated fellow Canberran Jake Okines in the semifinals before falling to Daniel Dossetor (NSW) in the final. 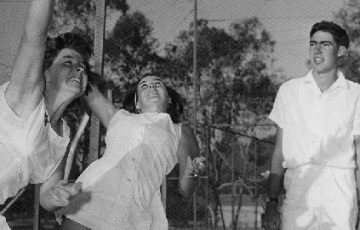 A number of juniors also won titles at Griffith with Charlie Snow winning the 14/u boys singles and doubles title with Dylan White. Aliyah Dwyer won the 12/u girls singles, with Ellie Koundouris winning the 14/u girls doubles title and reaching the singles semifinals. Nicholas Maleganeas and Sofia Simoncini progressed to the semifinal stage of their respective singles events. Charlie Camus posted strong results at three Gold Junior Tour (JT) events, claiming the singles and doubles title at the Breakpoint Analysis event in Melbourne, finishing runner-up in singles and won the doubles at the Wollongong JT, and reaching the semifinals of the Glen Iris JT. 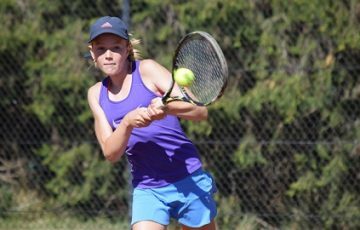 Sophie McDonald continued to build her title collection after winning the 12/u girls singles Canberra Junior Challenge earlier in the year, McDonald won doubles titles at the Wollongong Gold JT and Hills District Bronze JT where she also made the singles semifinals. On the international scene, Nick Kyrgios completed a successful grasscourt campaign reaching the semifinals of the Stuggart ATP 250 and Queen’s Club ATP 500. Kyrgios then reached the third round of Wimbledon before falling to Japan’s Kei Nishikori. Alison Bai made the singles final of the ITF $25,000 event in Changsha, China defeated world No.138 and top seed Lin Zhu (CHN) along the way. The result has seen Bai’s singles ranking return to the world’s top 400 for the first time since October 2016.